Deb is the assistant engineer/producer at Wildwood Ranch and has been a vocalist for IMC, Siblings, F'n Colleen and a variety of in house recordings. 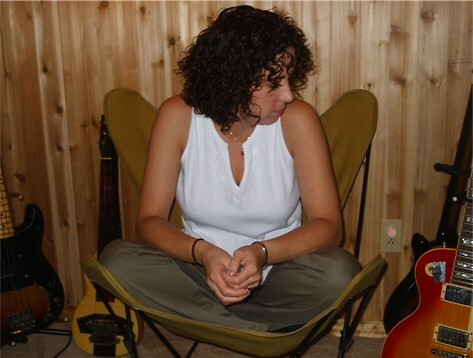 Deb is also a lyricist, with a few selections on the F'n Colleen CD "Hi, we're a band". 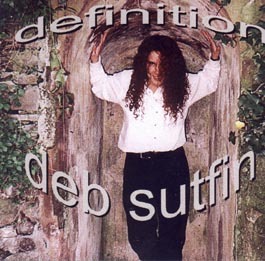 The 2003 release “Definition” is a compilation of recordings that Deb has been involved in with a variety of musicians over the last decade. 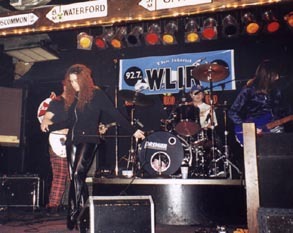 Two tracks feature a live recording by Siblings from 1992 with her brother, Jef Wilson, recorded at The Moon in New Haven. You can buy it now by going HERE. Deb has 2 rescued greyhounds, "Wallace" and "Baby", whom she loves dearly, and is an animal rights advocate. 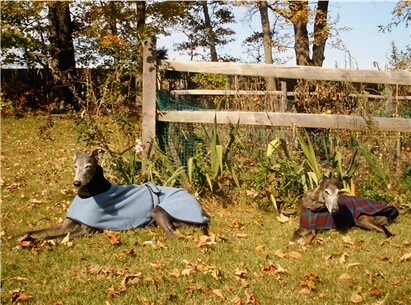 To learn about adopting a rescued greyhound, visit Greyhound Friends of Mass. To learn about the plight of the racing greyhound, visit The Greyhound Protection League. To help end the cruelty of Greyhound Racing in the United States, and abroad, visit GREY2KUSA. Deb Wilson Sutfin "Laminant"(MP3 1.05 MB)Free Download! !